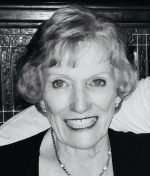 Joy LaDine Burkholder died peacefully in her home in Greenville on Sept. 17, 2018, at the age of 86. Joy was born on May 12, 1932, in Los Angeles, to Frank and Madelle (Winchester) Schwartz. She graduated from Glendale High School in 1950 and married her high school sweetheart, Riley Burkholder, on October 14, 1950. They were married 49 years and raised their family in La Crescenta. After moving north in 1976, first to Paxton Lodge then to Greenville, she and her husband started their business, Riley’s Jerky. As a very active volunteer at the Indian Valley Thrift Shop for nearly 35 years, Joy took great pride in helping the Indian Valley community with the proceeds from the shop. Her life revolved around her family. Her children will always remember Joy as a kind, patient, dedicated mother who loved her children, grandchildren and great-grandchildren deeply. Taking her young grandsons, Jesse, Kaley, Ehren, Trevor and nephew Cory Schwartz, for hikes in the forest filled her early mountain years, but she managed to keep in touch with her grandchildren, nieces and nephews far away by sending cards and small gifts. Joy studied her family’s roots as well. Through genealogy, she found and reached out to long lost cousins and documented the family lineage. In high school Joy instigated a group of friends who become known as “Our Gang.” She always held friends and family together and “Our Gang” kept in touch through the years. Known for her great sense of humor, Joy kept others smiling. 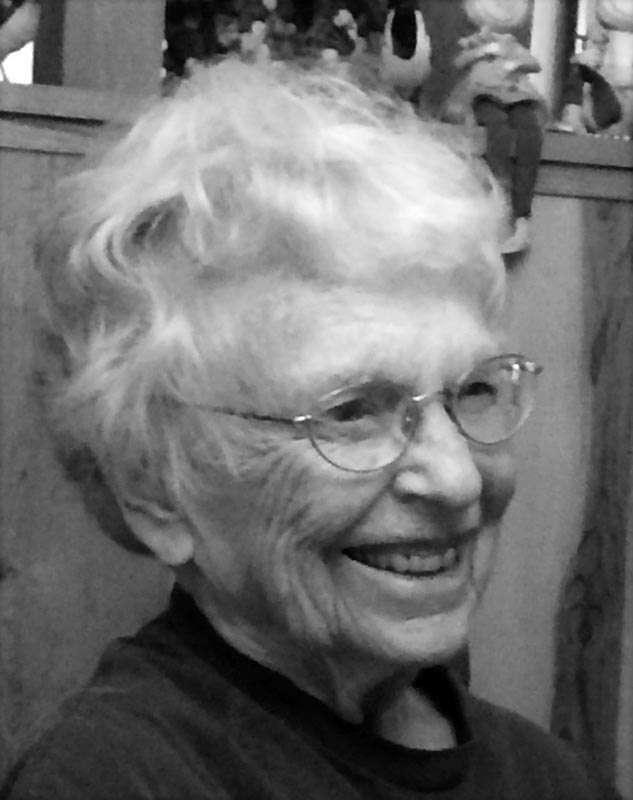 She treasured the outdoors, being an avid bird watcher and loving wildflowers. Also important to her was music — she played the accordion in high school band, marched with it in the Rose Parade, and was singing favorite ’40s songs to the end. Joy is survived by her four children, Rod Burkholder, Corky Lazzarino, Britt Burkholder and Gay Bentz and her husband, Brad; six grandchildren, Keleigh Allen, Keegan Burkholder, Jesse Lazzarino, Kaley Bentz, Ehren Bentz, Trevor Bentz; and seven great-grandchildren, Anna Allen, Benjamin Allen, Enzo Lazzarino, Dalton Bentz, Lucy Bentz, Cody Bentz, Jessica Bentz, and step great-grandson Will Rich. Joy is survived by brothers, Ron Schwartz and Terry Schwartz and sisters-in-law, Jane Schwartz and Sherilyn Schwartz. Joy was preceded in death by her husband Riley in 1999. A private memorial will be held at a later date. In lieu of flowers, donations can be sent to the Indian Valley Thrift Shop, P.O. Box 596, Greenville, CA 95947. The family would like to thank the caregivers and family members who lovingly cared for Joy during her last days. 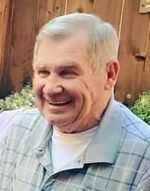 Longtime Plumas County resident John Steven Fehrman passed unexpectedly in the early morning hours of Sept. 18, 2018 at Plumas District Hospital in Quincy. John was born Sept. 11, 1952, in Talmage, California, to Edmund and Edith (Adkins) Fehrman. He was raised in the Santa Rosa area where he attended elementary school and was a graduate of St. Rose Catholic High School in 1970. He was a member of the Boy Scouts of America as a young boy and played Little League, which he loved. John’s father Ed was a long-time pilot and shared his love of the sky with his young son early in his life, actually taking him for his first flight when John was only three months old. John and his dad logged hundreds of hours each year at the airports in Santa Rosa. His dad taught him how to fly when John was quite young and he had his pilot’s license by the age of 15, even before he had his driver’s license. After graduating high school (a feat accomplished with the help of the staff of nuns that tried valiantly to keep the young Mr. Fehrman in line), he went on to attend Santa Clara City College on a full-ride baseball scholarship, as he was a heck of a catcher! After his baseball coach was approached by some of his professors who had the audacity to complain that John could not just play ball, he actually needed to attend classes, John decided to enlist in the U.S. Army. John entered the Army in January 1971 as the Viet Nam War was actually winding down a bit. When they realized this 19-year-old kid had a pilot’s license, he was immediately assigned to the Army Air Corp to be trained to fly Hueys. John flew helicopters through three tours of duty and received his Honorable Discharge in January 1975. He returned to California after his discharge and became engaged to a pretty young lady, Kathy Johnson of Santa Rosa, whom he’d been communicating with through letters during his tour of duty. They married on Oct. 3, 1976. John decided to pursue becoming a funeral director. He often joked that it wasn’t because he felt it was his calling; it was because he figured he could accomplish getting the most education and a career in the least amount of time, as he still wasn’t crazy about being a student! So off to the San Francisco College of Mortuary Science he went, with Kathy’s loving support, while he worked as an apprentice for $250 per month. When he graduated they relocated to Salinas so he could complete his apprenticeship. The young couple soon discovered they were expecting their first child, so they began their quest to find a funeral business that they could afford with their limited funds. They were told about the availability of three small funeral homes in Greenville, Chester, and Westwood. John and Kathy flew to Chester and toured the three sites, and although Kathy was reluctant to make such a radical lifestyle change, she eventually agreed that it was their best option. Escrow papers were actually signed on the very day that Kathy gave birth to their son, Steven, in March 1978. After relocating to Greenville, John and Kathy worked diligently to make a success of their business, both working long hours, sometime around the clock. They were blessed with two more children, daughters Nicole and Ashley. The family moved to Quincy in 1989 after purchasing Anderson’s Funeral Home. They raised their kids and grew their business with hard work, dedication and many sacrifices of personal and family time. Their business is very demanding — open 24/7, 365 days per year — which John continued to do until the day he passed, as had Kathy who passed in March 2013. John was a long-time member of Rotary, joining the Westwood—Lake Almanor Club when he was 24. He recently became a member of the Quincy Club. He was a volunteer for the Greenville Fire Department and their ambulance driver before the days of EMTs. He served on the Indian Valley Hospital Board and was a staunch supporter of VICA (Vocational Industrial Club of America). He and Kathy gave financial support to students graduating from QHS towards their trade school endeavors. He was also an avid supporter at the annual Junior Livestock Auctions every year during the fair. For many years John and his son Steve enjoyed a shared passion for racing, beginning with 4-wheelers and on to 410 sprint cars. John was a dedicated supported of Sierra Hospice and hospice care in general, serving as their president for nine years. On June 6, 2014, John married a longtime friend he met through Sierra Hospice, Karron White of Chester, and she joined him in his Quincy home where she supported him in life and his business efforts. His first wife Kathy, his parents and his sister, Julie Fehrman, predeceased him. He is survived by his loving wife Karron Fehrmann of Quincy, son, Steven (wife, Jennifer) Fehrmann of Grass Valley, daughter, Nicole (husband, Jed) Taborski, and daughter, Ashley Fehrmann all of Santa Rosa. The three bright lights of his life, his grandsons, Carter and Jackson Taborski and Colin Fehrmann and numerous nieces and nephews, also survive him. Surviving siblings, Paul (wife, Lynn) Fehrman of Santa Rosa, sisters Marcene Fehrman of Arizona and Micheala (husband, Tim) of North Dakota and brother Eddie Fehrman of Colorado. (Okay, we should explain the difference in the spelling of the last name. Seems John’s grandfather dropped the second ‘n’ after moving to the U.S. from Germany. John’s dad, John and his siblings went with the shorter version and it wasn’t until a few generations later the second ‘n’ was added back to Fehrmann). A Rosary will be held Friday, Oct. 5, at 7 p.m. at St. John’s Catholic Church in Quincy. A Mass of Christian Burial will be held the next day, Saturday, Oct. 6 at 11 a.m., at St. John’s. Following Mass, a Celebration of Life will take place at 1 p.m. at the Plumas County Fairgrounds in Quincy, and folks are encouraged to attend that more informal event, although they are welcome at the Mass. Thank you is simply not enough to say to the many people that have supported this family through these very sad days since his passing. Our hearts are full with the love and kindness folks in Plumas and Lassen County are blessing us with. An opportunity to express your condolences to the family along with signing the memorial guest register is available online at www.fehrmanmortuary.com. 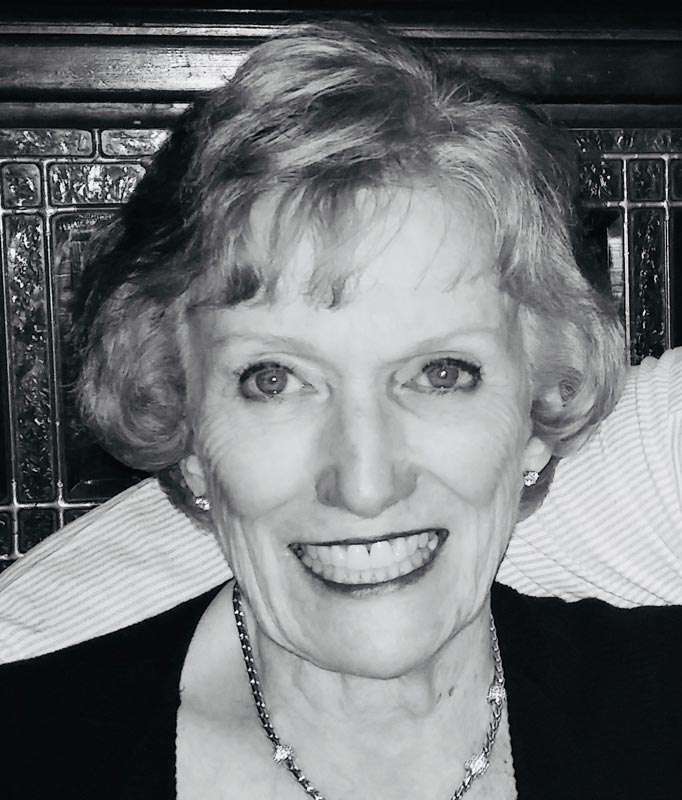 Patricia Turner Gribben passed away Sept. 17, 2018. Pat was born in Los Angeles, on Nov. 5, 1937, to Frank and Clara Turner. When the war was over the family moved to Boulder City, Nevada, where Pat completed elementary and high school. She was involved in many social and scholastic organizations, was active in student government and was the girl’s state representative, all while working part time for the US Parks Department. In 1955 she moved to Reno to attend the University of Nevada (not UNR as she would remind everyone). She majored in elementary education. She was on the Dean’s List and received numerous scholastic scholarships while working three jobs: secretary at the Mechanical Engineering Dept., the Library and the Dining (Gow) Hall. Soon after graduation (in 1959) she married Clark Gribben and began teaching in the Washoe County School system where she taught for seven years. When Clark started his structural engineering business she became the bookkeeper — a job that would last 33 years. Along the way daughters Stephanie (1969) and Allison (1970) joined the family and she was of course a supportive, loving parent in all their activities. Pat played a mean hand of bridge, loved the movies, never failed to solve a crossword puzzle and entertained us all at the piano. She treasured the backcountry and made many a trip backpacking, jeeping, horse packing, and rafting. A world traveler she was — visiting many countries on six continents, including Rural China, Russia and African safaris. She especially liked cruising. Graeagle was her second home — the family vacationed or owned homes there for 50 years. In 2004 they purchased property near Clio and built their dream home. A log home that was her pride and joy as she had done all the architectural layout selected all the materials and decorated and furnished it. A great place to entertain and she hosted many a party. Pat was an amazing person with all the energy and smarts need to be a great mom, wife and grandma and friend to so many. She was loved by all who knew her and will be greatly missed. She is survived by Clark, daughters Stephanie Murphy (husband Tim and grandchildren Makenzie and Kyle), Allison Gribben (boyfriend/partner Will Grenhart), brothers David Turner (Kay) and Steve Turner (Michell). There will be no service. A Celebration of Life (let’s call it a party — she loved a good party) will be held at a later date. Memorial services for Helga Magnuson, longtime resident of Meadow Valley, will be held on Saturday, Sept. 29, at 1 p.m. at the Meadow Valley Community Church. Helga was born March 29, 1938, in Breslau, Germany, to parents Rudolf and Erika Batz. Helga had two brothers. She excelled in school and was able to speak five languages. Helga moved to the United States of America in 1964 to join her mother. She married Elmer Magnuson at the age of 26. They resided in southern California and had two daughters, Solveig and Ragnhild. They divorced in 1971. Helga worked as a legal secretary and as a health care provider. She met Walter Methner while caring for his mother and the two became partners for the remainder of their lives. Helga moved to Meadow Valley with Walter in 1994. Walter passed away in 2014 and Helga remained here until her death July 17, 2018. Helga was a member of the Meadow Valley Community Church and considered the church her family. Helga is survived by her daughters and one of her brothers, Rolf Batz, of Usingen, West Germany.